Can you pump them up w/ silicon and to negate their atherosclerotic effects!? In today's installment of the Nutrition Research Update in the Short News, I am going to tackle three studies that deal with the surprisingly pronounced, yet practically potentially irrelevant benefits of eating a high protein breakfast, silicon... not in breasts, but sausages as a means to protect you from heart disease and the fact that calories count so much that even on a "healthy diet" only those who eat in moderation will age healthily. breakfast, after which the energy expenditure (EE), substrate oxidation, appetite, and blood glucose were measured over a 4 h period. To access whether the high protein intake would also affect the participants appetite, the subjects had free access to a lunch buffet and food intake was recorded. Figure 1: Energy expenditure, fat and carbohydrate oxidation in the 4h post breakfast (Blum. 2015). 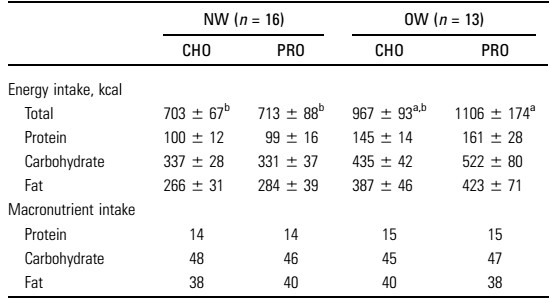 The results were unambiguous: After breakfast, OW children in the PRO group had higher (P < 0.0001) EEs and fat oxidation over the 4 h period than did the NW children in the CHO and PRO groups. Of these, the increase in energy expenditure was transient and didn't last for the full 4h period. The increase in fat oxidation in response to the high protein intake, on the other hand, lasted for the full 4 h period (+16%; P < 0.05) and went hand in hand with a surprisingly pronounced 32% increase in carbohydrate oxidation in the PRO vs. CHO (P < 0.01) trial. Table 1: Despite decreased hunger and increased fullness, the protein breakfast did not reduce the total energy intake or modify the macronutrient ratio of the foods the kids selected at the lunch buffet (Baum. 2015). Now, all this sounds great, but even though the subjects experienced decreased feelings of hunger (−14%; P < 0.01) and increased fullness (+32%; P < 0.05) after the PRO than the CHO breakfast, the lack of effect on the intake at the subsequent ad-libitum lunch is disappointing to say the least. This and the lack of long-term data make it very difficult to predict if a similar increase in protein during breakfast only would actually help the subjects lose weight. Silicon ... not breasts, but enhanced meat may protect older individuals against atherosclerosis - That's at least what a recent rodent study by Garcimartin et al. (2015) suggests. "Research has shown that silicon can play an important role in protecting against degenerative diseases. Restructuring pork by partially disassembling meat would permit the incorporation of active components with potential functional effects. However, there has been no research to date on the impact that silicon, as a functional ingredient in restructured pork (RP), has on lipoprotein composition, metabolism, and oxidation" (Garcimartin. 2015). In order to find out whether the addition of silicon would actually have a meaningful effect, the scientists added 1.3g/kg silicon to sausages that were then fed to one group of old rodents while the rest received regular, non-enriched sausages as part of regular and pro-atherogenic cholesterol-enriched diets. The results were quite astonishing, as is partially normalized the changes induced by the high cholesterol diet. 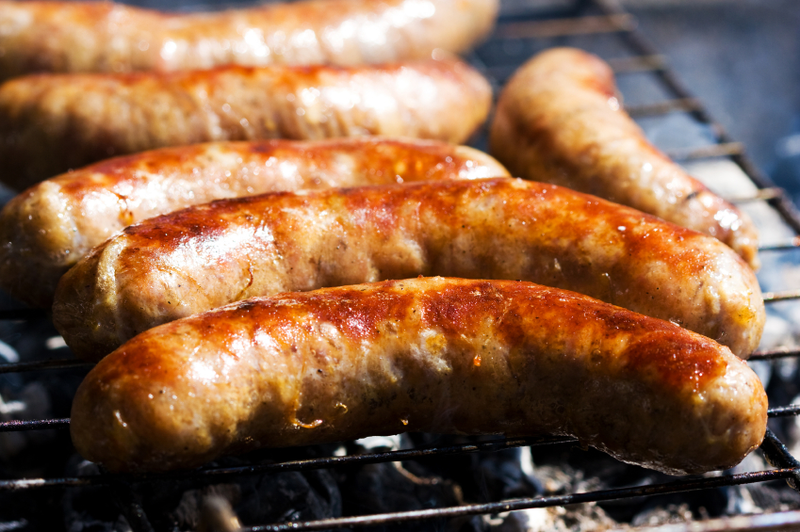 Compared with the rodents who received the regular sausages, those on the silicon sausages had lower VLDL compound concentrations (P < 0.001; e.g., 75% less VLDL cholesterol) and a significantly reduced VLDL oxidation (65% less conjugated dienes and 85% less TBARS) that went hand in hand with an increase in LDL-receptor expression (200% more). Figure 1: The silicon in the sausages increased the LDL receptor density to (almost) normal, the amount of cholesterol protecting AE in the blood and liver, as well as its ratio to the amount of cholesterol. The result is obvious: With as little oxidized VLDL in the blood as the control, we can safely assume that the rodents that consumed the silicon enriched sausages have a sign. lower atherosclerosis risk (Garcimartin. 2015). In spite of the fact that there are differences in the susceptibility of mouse and man to the pro-atherogenic diets of the results do - just as the authors point out - still suggest that silicon added to restructure pork can strongly counterbalanced the negative effect of high-cholesterol-ingestion and, as I would like to add, the negative effects of endogenous cholestrol (by increasing its uptake by LDL receptors and decreasing its susceptibility to oxidation) thus "functioning as an active hypocholesterolemic, hypolipemic, and antioxidant dietary ingredient" (Garcimartin. 2015). Healthy eating requires a controlled (not restricting) energy intake to increase one's chance of "aging healthily" by almost 50% - If you question if eating "healthy" and not eating everything in sight is even worth it, you will like the results of a recent study from the Sorbonne in Paris (Essmann. 2015). In her latest study Karen E Essmann and her colleagues analyzed the diets of a subgroup of 2769 participants of the SU.VI.MAX (SUpplémentation en Vitamines et Minéraux AntioXydants) trial. 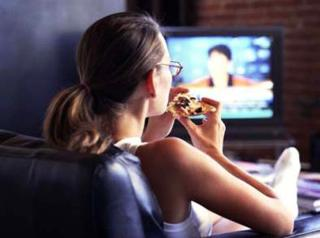 They identified subjects consuming "healthy" and those on the "standard Western diet", adjusted the data for a large number of potential confounders and the influence of high(er) and low(er) energy intakes. Table 2: Overview of the criteria the scientists applied to identify "healthy eating" - CES-D, Center for Epidemiologic Studies–Depression Scale; DKTMT, Delis-Kaplan version of the Trail Making Test; IADL, instrumental activities of daily living; MMSE, Mini-Mental State Examination; RI-48, 48-item cued recall test; SF-36, Medical Outcome Study Short Form 36; SPPB, Short Physical Performance Battery. In that, the scientists found that the association between "healthy eating" and "healthy aging" was mediated by low(er) energy intakes. Only in subjects with median or lower energy intakes, the association between "healthy eating" and "healthy aging" reached statistical significance, so that the non-gluttonous "healthy eaters" were 49% more likely to age healthily. Since we are already talking "healthy eating", let's briefly mention that scientists from the University of Eastern Finland just confirmed the obvious (Haapala. 2015): A poorer diet quality is associated with worse cognition in children. What is a bit surprising, though, is that the relationship was stronger in boys than in girls. Bottom Line: So what did we learn today? I guess if you want to find a general bottom line it is as simple as "when it comes to nutrition, things are never as straight forward as it is often portrayed in the mainstream media". High protein breakfasts, for example will help you to control your energy intake (by increasing satiety and fullness) and increase your energy expenditure, but they (certainly) won't make you lose weight in a scenario where you simply eat whatever is in sight. The same goes for the link between "eating healthy" and "aging healthy" which is significant (+49%) only in those who don't overeat on their healthy diets (note: a median intake is enough, you don't have to fast!). And if that was not complex enough, take a look at the silicon sausage study. With the right additives even something as junk-foody as sausages can have almost "medical" effects. Whether silicon supplements have the same effects in men and women, though, would require future (long-term) studies | Comment on Facebook! Haapala, et al. "Associations of diet quality with cognition in children – the Physical Activity and Nutrition in Children Study." 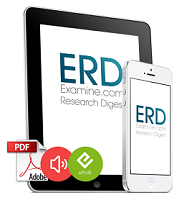 British Journal of Nutrition (2015): FirstView Article.